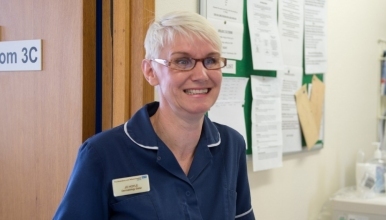 This is an exciting and rare opportunity to join our established Colorectal Clinical Nurse Specialist team in a new role. The successful post-holder will be working with the Clinical Nurse Specialist (CNS) team to provide stoma care and teaching in the Trust. You will have a pivotal role in helping patients to become independent with stoma care to assist with patient flow and their discharge home. You will be expected to share learning with ward staff and your peers to ensure patients receive the best colorectal care. The successful candidate must have relevant experience with stoma care and have a passion and enthusiasm for caring for colorectal patients. You will be required to work independently with support from the senior CNS team, prioritising your own case load and delegating to the band 5 and Health care Assistants as appropriate. Many of these patients require physical and psychological support which require empathy and sensitivity. This role requires excellent communication skills as you will be liaising with all members of the MDT patients and families. A sound understanding of colorectal procedures is essential for the post holder. The post holder may be required to work cross site. We welcome applications from band 5 nurses and can offer the role at a band 5 salary as a training post, leading to a band 6 role upon completion of relevant competencies.